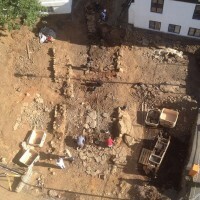 The ruins of an early Viking longhouse have been discovered under an empty lot on Lækjargata, a street in downtown Reykjavík. The lot was excavated in advance of construction of a four-star hotel because it was known to have been the site of a turf farm built in 1799. Archaeologists did find the remains of the farm as expected soon after excavations began in April, and then completely unexpectedly found the remains of the longhouse in June. All of the Settelement Era (874-930 A.D.) remains found in Reykjavík before this one were further to the west. The discovery of the Lækjargata longhouse indicates that early Viking-era Reykjavík was either larger or more spread out than scholars realized. The longhouse was at least 20 meters (66 feet) long and 5.5 meters (18 feet) wide — the remains extend into the neighboring property so the full perimeter has not been established — and had a central fire pit 5.2 meters (17 feet) long, one of the longest ever discovered in Iceland. 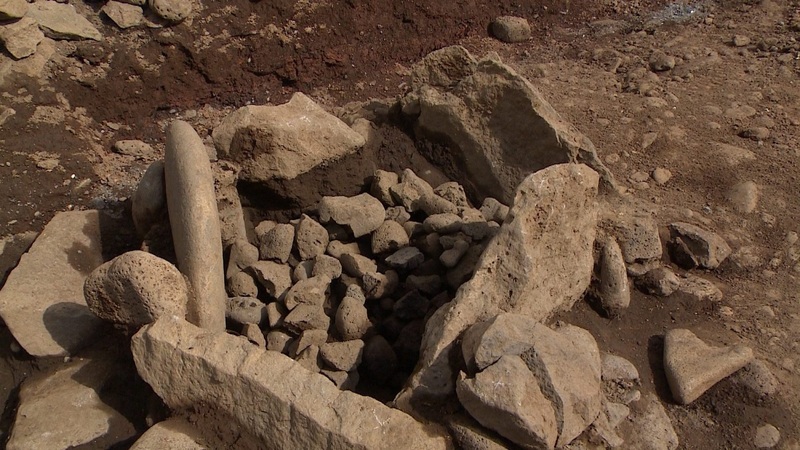 A separate cooking pit was unearthed with the remains of animal bones inside and stones that were heated and used to keep water hot or to cook food over. 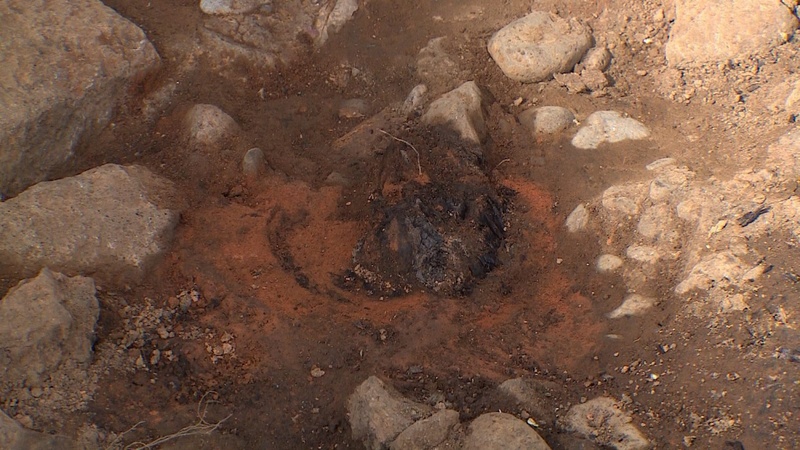 An area of red earth and blackened material is likely evidence of an uncontrolled, destructive fire. Archaeologists believe the fire occurred just after the abandonment of the home or, more likely, was the impetus for said abandonment. Early settlement archaeology in Reykjavík relies on layers of volcanic tephra ash deposited around 871 A.D. by an eruption in the Torfajökull volcano complex 250 miles southeast of Reykjavík to help date sites. Based on the ash found in the remains of the turf walls of the longhouse, Iceland Institute of Archaeology archaeologist Lisabet Guðmundsdóttir believes it was built around a century after the 871 tephra fall. 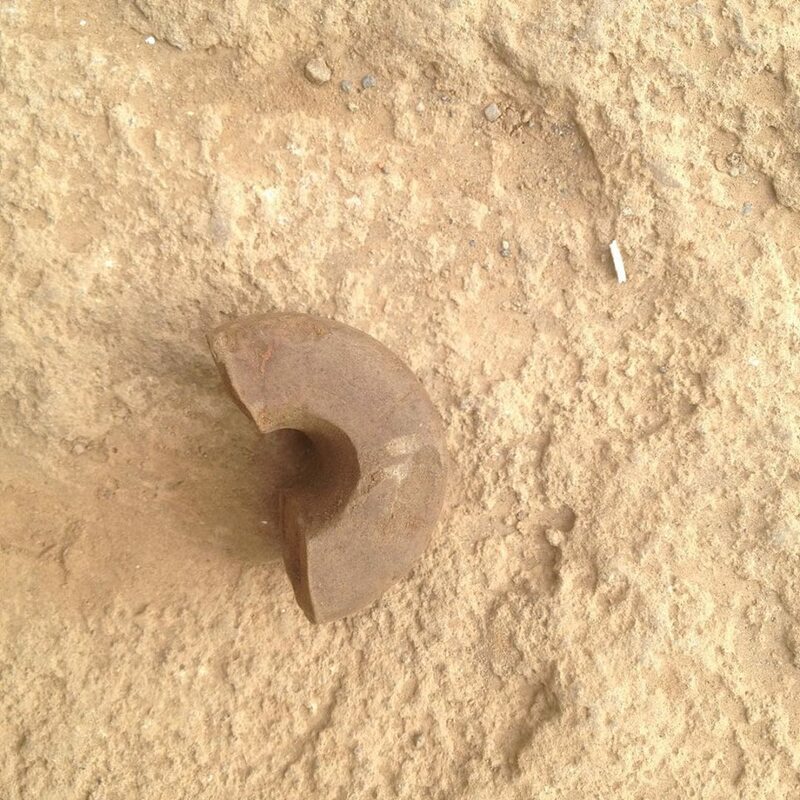 Spindle whorls found in the longhouse bracket its age on the other end; they disappear from the Icelandic archaeological record after 1150 A.D. The discovery generated much excitement among archaeologists and the general public. The excavation drew crowds who peppered the archaeologists with questions about the longhouse and the fate of the site. The original plan was to salvage whatever archaeological material was found, removing it from the site to a museum, but that was before they knew there were so significant and ancient remains there. The hotel developers suggested there might be some way to integrate the archaeological site into the hotel, something that has been done successfully before elsewhere. This week Reykjavík’s environment and planning committee took an important step in ensuring the preservation of the longhouse. It called for the prompt establishment of an advisory committee on how to handle the longhouse site and other recently excavated remains near the harbor. The resolution from the planning committee says that the new advisory committee should formulate proposals on how best to preserve the sites in question for the future and how best to display them openly to the public. The committee should set to work quickly and include the city culture, tourism, environment and planning committees in its work; as well as the city council cabinet. It is very important to preserve these sites, the resolution states. This entry was posted on Saturday, August 15th, 2015 at 11:41 PM	and is filed under Medieval. You can follow any responses to this entry through the RSS 2.0 feed. You can skip to the end and leave a response. Pinging is currently not allowed. What are spindle whorls? Purpose? Materials? I would like to add that I think this is the most satisfying history/archaeology blog on the Internet with a breadth and depth that is astounding. And, it is written in a single voice of, I am sure, an omniscient person. Remarkable. Spindle whorls are weights placed on spindles to increase the spinning speed and keep them from wobbling. They’ve been used since antiquity. The oldest ones known were discovered at Çatal Hüyük in Turkey and date to the 7th millennium B.C.. There was no report I could find on what the whorls found on this site were made out of, but most Icelandic Settement Era whorls were made of local sandstone. Thank you for your generous compliment. Omniscient I’m most definitely not; just a dedicated research monkey.